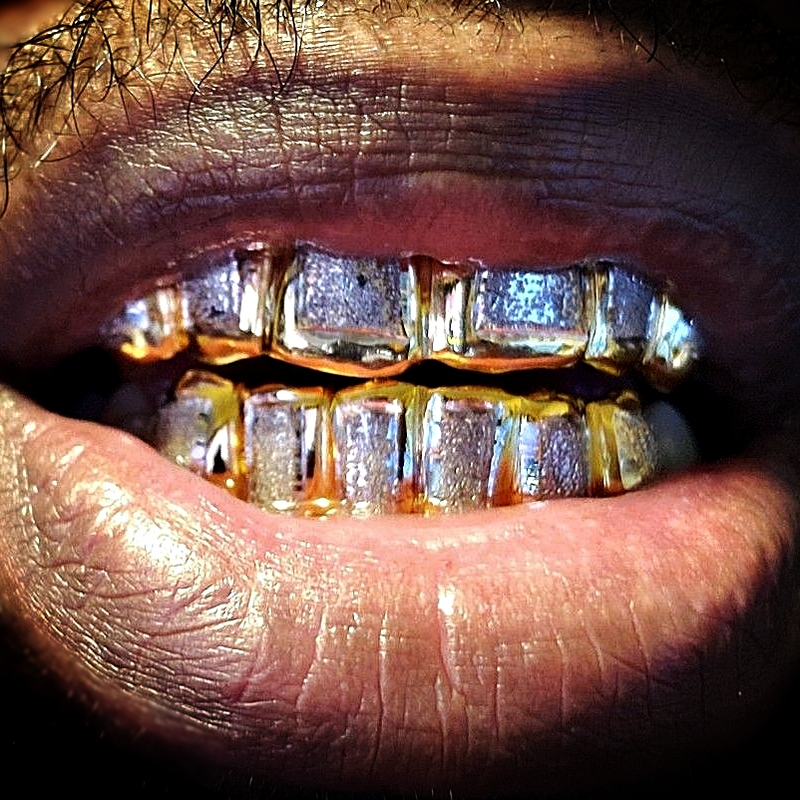 10k gold 2-tone custom teeth grillz. Does not contain actual diamonds. Choose grillz for 4 teeth to 20 teeth. 100% handmade job - made in USA. 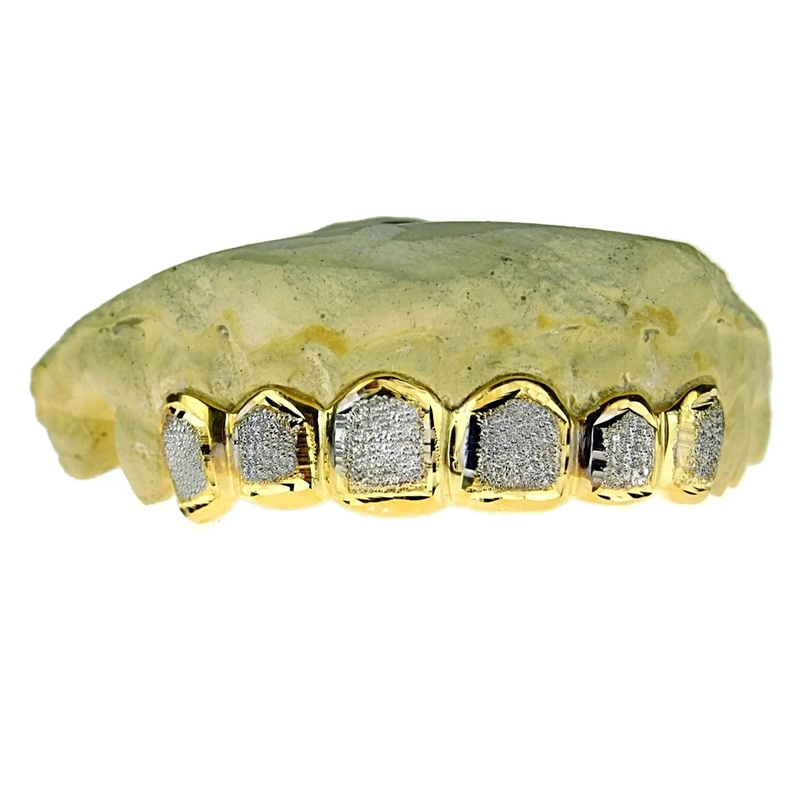 Grillz made to fit your teeth perfect. Removable grillz - not permanent. 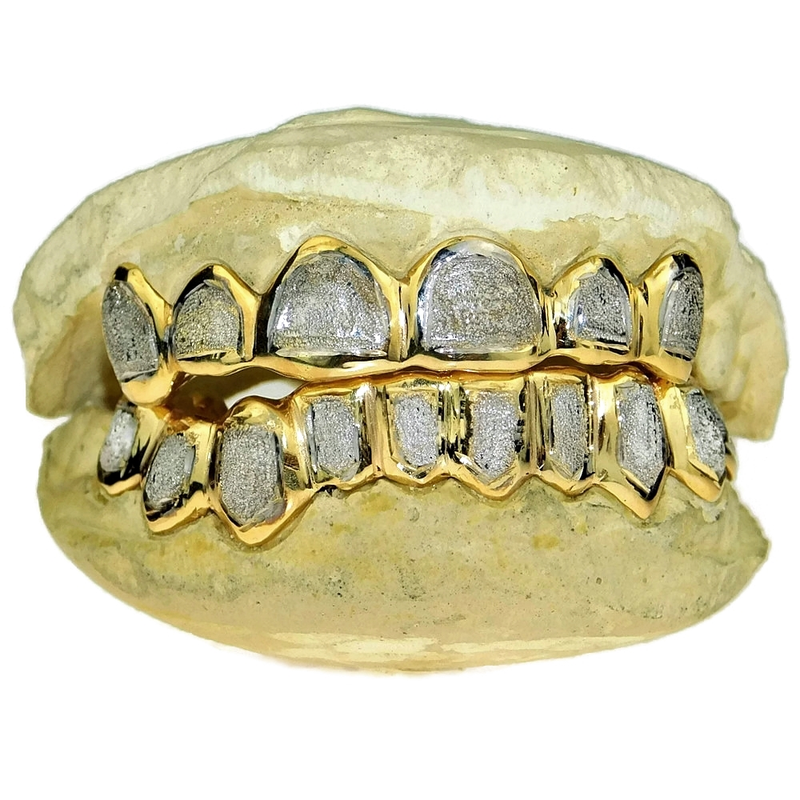 Free mold kit with your grillz order. 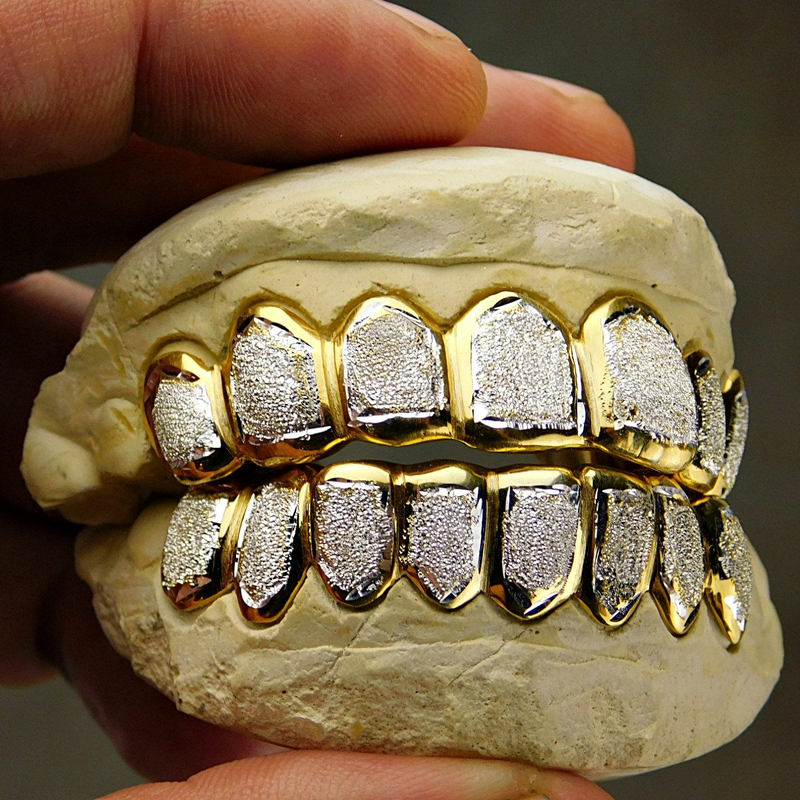 10K gold teeth price = $48 per tooth. Real 10K solid gold, not gold plated. 1. From the dropdown menu, choose how many teeth you want and any options. After purchase, we mail you a do-it-yourself mold kit. 2. When you receive the kit, you bite the mold and send it right back to us. 3. Your custom grillz are mailed to you 7-10 bus. days after we get your mold. Just snap it in and start rocking your new grillz! We ship via United States Postal Service (USPS). 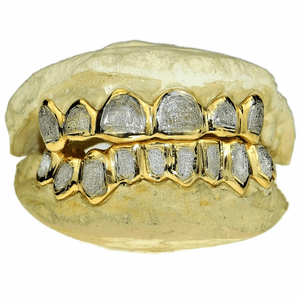 It typically takes 7-10 business days to make your custom grillz, regardless of which shipping method you choose. USPS Standard (5-7 Days) FREE - Both the mold kit and the grillz are mailed to you via USPS First Class Mail - 100% FREE! USPS Priority (2-3 Days) $7.95 - The mold kit only is shipped to you via Priority Mail. The finished grillz will be mailed to you with free USPS First Class Shipping - 5-7 bus. days. 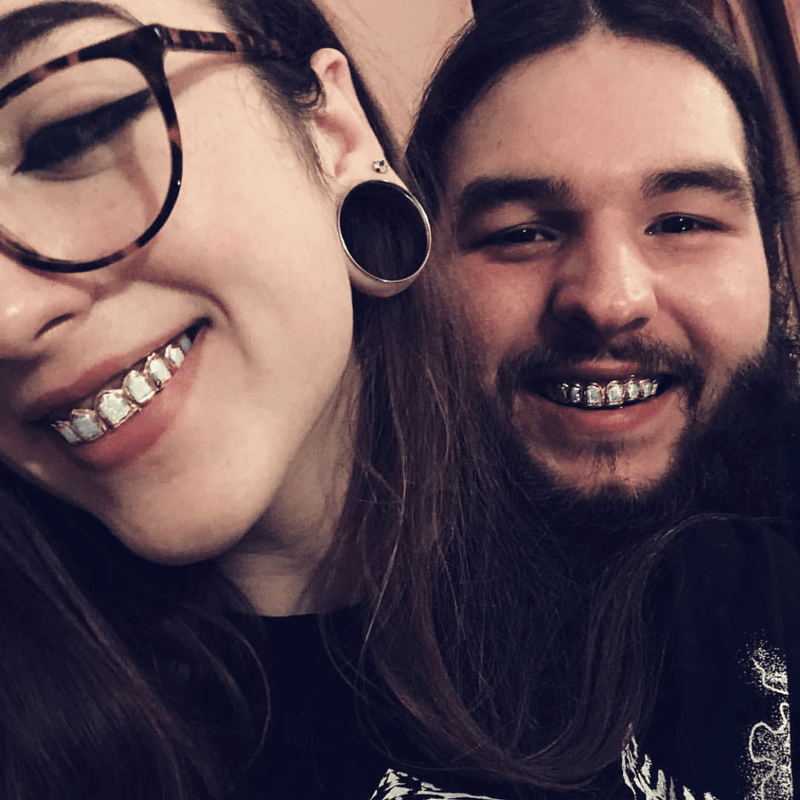 [CUSTOM GRILLZ ONLY] $15.95 USPS Priority For Grillz AND Mold Kit (2-3 Days) - This is our fastest shipping option for both the mold kit and custom grillz, both are rushed to you via USPS Priority Mail. Canada (7-10 Days) $14.95 - Covers both mold kit and grillz via USPS First Class Mail.